Discussion in 'Ammo, Reloading & Accessories' started by RedneckHuntr, Apr 16, 2019 at 8:29 PM. Just curious what oddities you guys may be reloading for. My oddities include the 7mmTCU, 30 Herrett, 357 maximum and 32-40. The Herrett is by far the biggest pita. I reload my 1800's black powder flintlock .80 caliber smoothbore musket cut down to a coach gun, with a barrel length of 15 7/8 inches. meketrefe and BDinPutnam like this. That must be a blast to shoot. The Flintlock I have will go of rain or shine every time at a target. But will not go off of your trying to shoot a deer. I've only shot it twice so far. It was originally bought as a wall hanger. Still working on what loads are safe to shoot out of this old relic. Light loads only, I'm thinking. 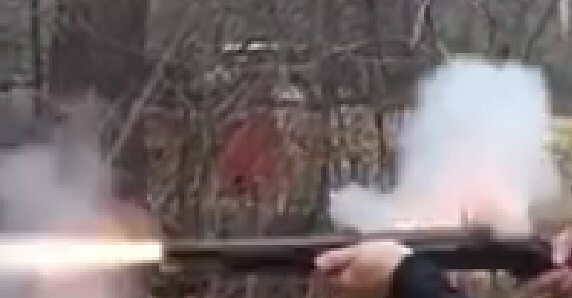 You shooting actual loads now or aluminum in front of the powder charge? RedneckHuntr and BDinPutnam like this. Is there a specific area of interest or curiosity you have? Last few years I have been doing wildcats for the AR. I also made a design of slugs using 20ga shell heads for the jacket and bird ahot for mass. Currently designing a 30 caliber based on the dakota case but using 300 rum brass. Wip still. You hit the nail on the head. Just looking to hear stories of what people are loading of the lesser known cartridges, the process of making the cartridge and the ballistics of the cartridge. I never heard of the Gunner cartridges. What's the parent case? I like your idea of using the round balls as shot. The most exotic I load is .32-20 other than that it's all common stuff. You load that for a contender?